A good place to find excellent creative business workshops is through the British Library. Most of the workshops are either free or very reasonable. For the latest list of what is available please visit the British Libraries Workshop Calender. 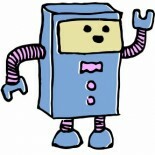 This entry was posted on 17/01/2012 by Creatabot in Creative and Art Events and tagged art, British Library, Calender, community, creatabot, creative, exhibition, ezine, London, magazine, South East, webzine, workshops.